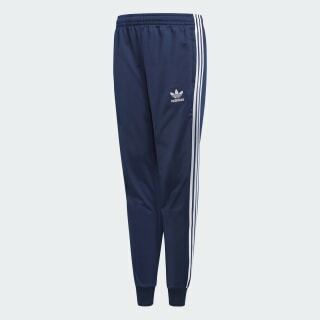 Junior boys' pants with iconic adidas styling. Inspired by designs made for men, these pants bring classic street style to the next generation with iconic details and trims. 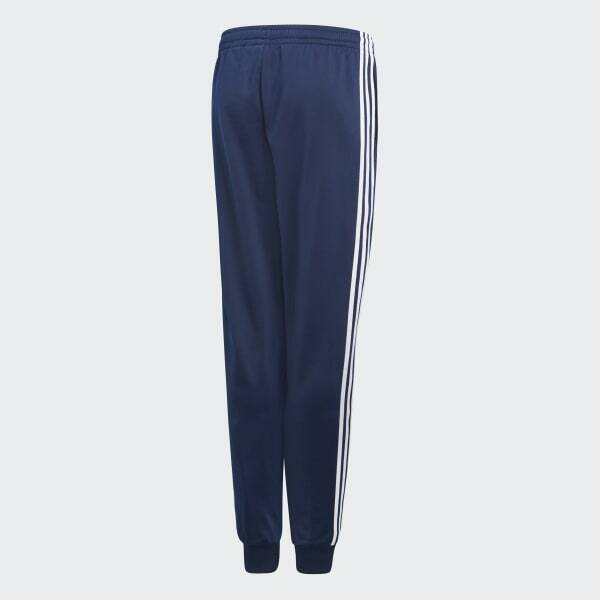 These junior boys' pants have an unmistakable sporty build, made with modern recycled polyester tricot. They feature two front pockets, fitted ribbed cuffs, and a drawcord at the elastic waist for a fit that's made for everyday wear. Signature 3-Stripes down each side and an embroidered Trefoil logo on the front keep this look grounded in classic style. adidas is dedicated to creating products in ways that minimise their environmental impact. These pants are made with recycled polyester to save resources and decrease emissions.